Our organization is highly involved in providing a wide variety of Bf 63080 Series ( 6.3 mm Pitch)which is commonly used to connect two wires while providing reliable and safe connection. The skilled professionals design and develop the offered connectors in various design patterns and sizes with high specifications. 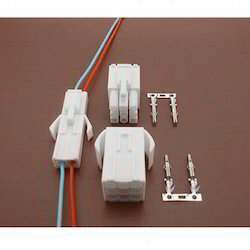 Further, our clients can select these connectors at market affordable price. 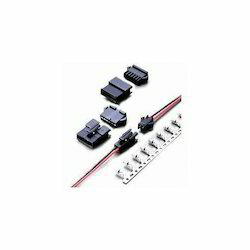 We are one of the prominent organizations for presenting a wide array of Wire to Wire Power Connector 2517-2518 series. These connectors are developed by trained professionals using optimum quality basic material and cutting-edge technology. These connectors are available in various design patterns and sizes which can be selected by the clients as per their choice of selection. 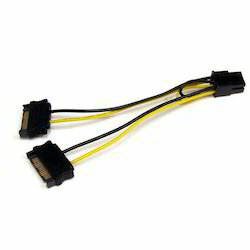 Banking on the skills of our qualified team of professionals, we are instrumental in presenting supreme quality range of Mini Fit Molex Connector 5557/5559 Series. 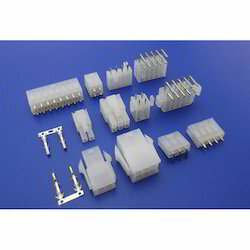 These Mini Fit Connectors 5557/5559 Series are checked for quality under various set norms of the industry. At industrial leading price, customers can purchase this product from us. We are offering a wide range of 451-452 SERIES /El Connector Series. Owing to the rich industrial experience and expertise in this domain, we are engaged in providing standard quality assortment of El Connector Series. 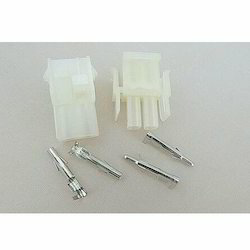 This El Connector Series is extensively used for different industrial applications. Our product range is highly appreciated amongst customers for its sturdy construction and low maintenance. Looking for Wire to Wire Connectors ?